The saying goes that “your eyes are the window to your soul,” but what if they are really a window to your health too? As a mucous membrane, your eyes catch almost everything going into your body – from pollen floating in the air to the germs from your coworker’s sneeze. It is not uncommon for illnesses to first present as common symptoms related to your eyes. But the question still remains how do you know if your eyes really are healthy. Well, if you’re not experiencing one of the many symptoms that are key indicators that there is something wrong with your eyes (or your overall health), then you can likely rest easy and lay your worry aside. Consider these common signs that you’re okay and better learn how to know if your eyes are healthy. Red, bloodshot eyes are one of the most common complaints of individuals who are dealing with eye concerns. So if your eyes appear clear and free of redness, it is a good sign that you aren’t experiencing any of the most common ailments of the eye. Redness in the eye can range in severity from minor to more severe and is typically caused by inflamed blood vessels, bleeding in the eye, or an irritation in the eye. The issue can also be an indicator that you have an infection in your eye. In some cases, however, redness can be a sign of more serious issues, such as an ulcer or glaucoma in the eye. If you do begin to notice redness in either of your eyes, it is best to consult your ophthalmologist to rule out any major concerns. Mucus or discharge is another key indicator that you have an ailment in your eyes. If you are not experiencing any oozing from your eyes throughout the day or night, then chances are your eyes are healthy. The most common forms of eye discharge include a thick puss or discolored mucus that seems to ooze or leak out of the eye. Either issue generally indicates that you have an infection in your eye that will likely need medical treatment. If the mucus appears clear or creamy-colored, it may simply be a result of getting dust or dirt in your eyes and naturally wash away with your tears. In any case, however, a quick check with your ophthalmologist can help put your mind at ease and rule out any more significant issues. Considering how much your eyes have been watering is another simple way for how to know if your eyes are healthy. If your eyes have been more runny or watery than usual, it may be a sign that you have an underlying issue. In some cases, watering is simply the body’s natural response to an outside stimuli that will pass quickly. However, watering can also be a sign of other illnesses, so it is important not to dismiss the issue. Blocked or infected tear duct. Infections, such as pink eye. Eyelids turned the wrong way. Looking in the mirror and seeing a red bump or pimple on your eyelid can be an alarming experience. While it does indicate you have an eye concern with which to contend, it is generally not too serious. A pimple-like bump that seemingly forms in your eye overnight is most like a stye. The bump forms as your oil glands in or on your eyelid contact bacteria and form an infection. Although a stye may be sore, it usually does not affect your vision and can be treated effectively in a few days. You may also notice that your eyelid appears swollen or red and feels uncomfortable. 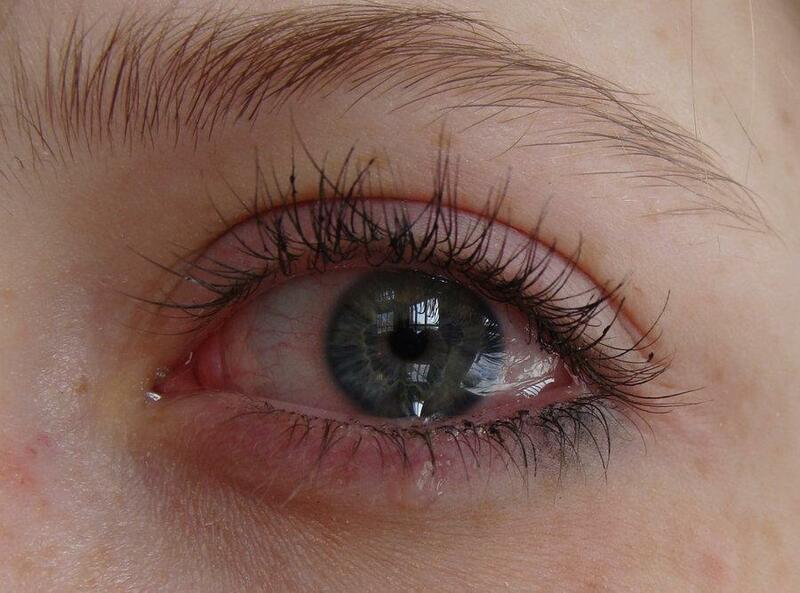 Styes also often cause the eye to water. Nevertheless, treating the issue with warm compresses and gentle massage should help the stye dissipate in a matter of days. If it does not go away or gets worse, though, it is important to consult your ophthalmologist. The state of your eyes in the morning is an important factor in how to know if your eyes are healthy. Many common eye issues cause stickiness and/or crustiness to form from discharge overnight. These issues are generally related to an infection. Blepharitis (bacteria and inflammation in the eyelid). Rosacea (a contributor to blepharitis). Infections tend to require medical treatment, so if you notice stickiness, crusting, or flaking around your eyes in the morning or throughout the day, it is best to seek treatment from your ophthalmologist. Identifying issues with your eyes also involves considering aspects of your vision. Changes in your vision, such as losing clarity or beginning to see dark spots is a key indicator for how to know if your eyes are healthy or not. While changes in your vision are often normal signs of aging, it is important to keep track of these changes and communicate them to your ophthalmologist. If you notice such changes as a stringy object or speck of dust in your line of vision, you should schedule an appointment for an eye exam as soon as possible. The issue may be a sign that you have developed a “floater,” which can be the result of various eye concerns. Inflammation, injury, and blood vessel changes are all common causes of floaters. However, a spot in your eye may also be the sign of a more emergent issue, such as a detached or torn retina. Inflammation is one of the body’s natural responses to irritation, infection, and trauma. So swelling or puffiness around your eyes can be a good sign that something is going on with the health of your peepers. And in some rare cases, swollen, red eyes may be a sign of a particular type of eye cancer known as retinoblastoma. For this reason, it is particularly important to know how your eyes appear when they are healthy, so you can contact your doctor should you notice any alarming changes. Dry eyes are a common eye complaint, so just because your eyes seem more dry than normal does not mean that you have a significant ailment. However, dry, itchy eyes can be an uncomfortable problem, so seeking advice from your ophthalmologist can help you identify an effective treatment as well as any underlying concerns. 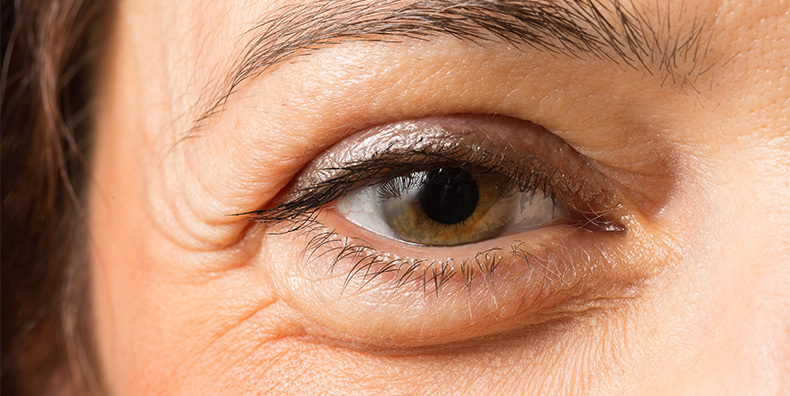 In most cases, dry eyes are the result of aging or even allergies. However, the condition can also be an indicator of several common medical conditions, including thyroid problems, diabetes, and rheumatoid arthritis. So it is important to consult your doctor if you are experiencing more dryness in your eyes. While this list gives you a basis for how to know if your eyes are healthy, some of the symptoms listed can be related to more significant concerns. And many times it is difficult to tell the difference. With that, it is generally best to “err on the side of caution” and reach out to your ophthalmologist for suggestions and guidance in dealing with concerns regarding the health of your eyes. At any rate, though, knowing what is normal and not for your eyes is helpful in determining an accurate diagnosis and an important step toward how to know if your eyes are healthy.